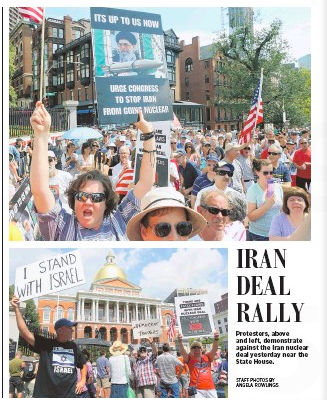 What If They Held an Iran-Deal Protest and No News Media Came? 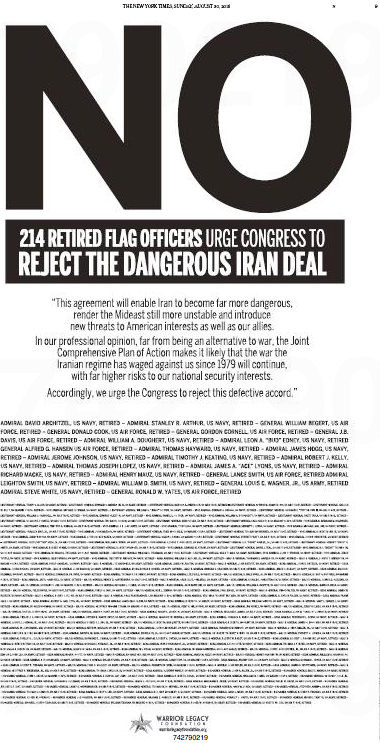 As you splendid readers know, the headscratching staff has been asking for the past several days, Who Ran This Anti-Iran Ad in Friday’s Boston Herald? We contacted WRKO radio host Jeff Kuhner, State Rep. Shaunna O’Connell, and Charles Jacobs’s Americans for Peace and Tolerance to find out, but none of them got back to us. 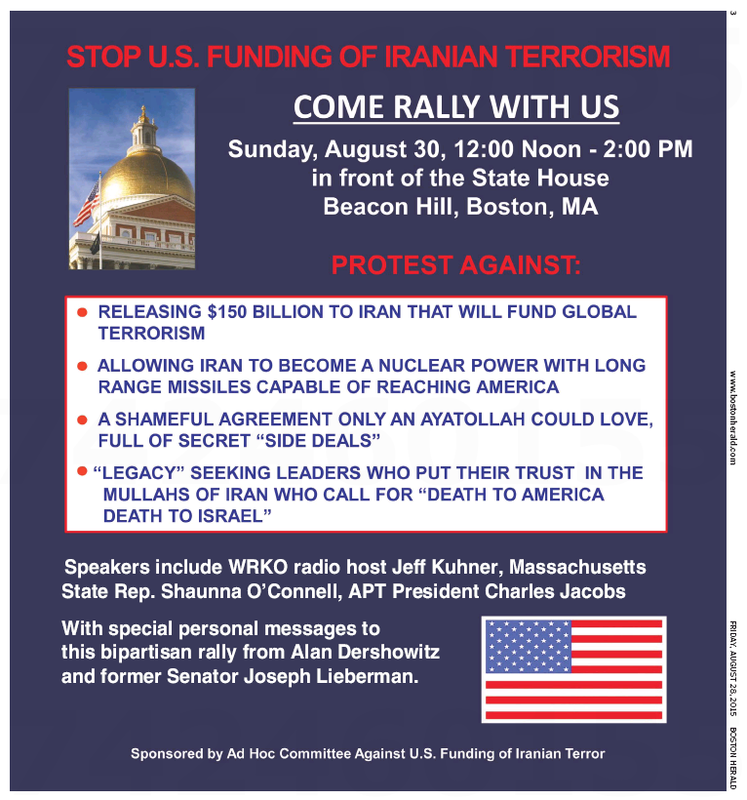 So we moseyed down to the State House yesterday around noon to investigate the Potemkinish Ad Hoc Committee Against Funding of Iranian Terror. Almost immediately we encountered Rep. O’Connell, who told us she didn’t know who had paid for the Herald ad, and in fact hadn’t even seen it. Okay then. Now we know. His point was, no media – elite or otherwise (except for the hardreading staff) – showed up at yesterday’s protest. 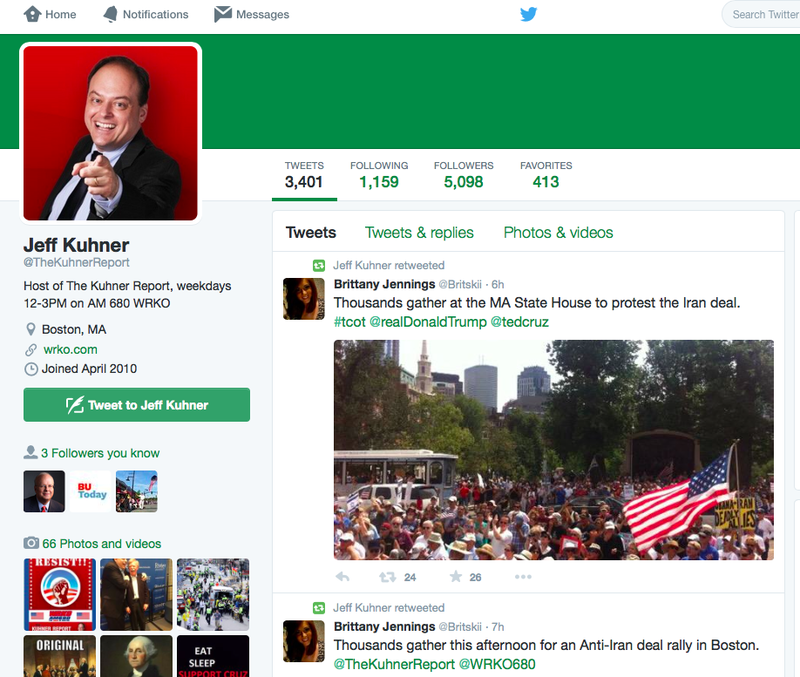 But – at least from Kuhner’s Twitter feed – the protest didn’t exactly ignite a firestorm on social media. We’re thinking @Britskii might be a fly, because we estimated maybe 150 people there. Just wondering: If 150 guys from the Warrior Legacy Foundation held a rally at the State House, think the media elites might cover that? Hell, it’s the least the Herald could do after raking in the big bucks for last week’s ad, yeah? This entry was posted on Monday, August 31st, 2015 at 9:57 am and is filed under Uncategorized. You can follow any responses to this entry through the RSS 2.0 feed. You can leave a response, or trackback from your own site.